OK....sure, this could be a Farrer Medal winning plant from any well-known potted alpine plant exhibit in the UK, but it's not.....it's from Lowes Home Centers. Which proves, that sometimes, one can cheat a bit....especially when the plant only costs $3.99. 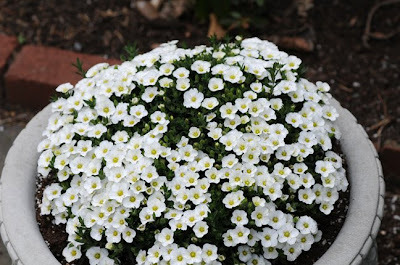 It's true, this plant, and the one below w're all part of a lot, purchased at a big-box garden retailer, but I', not that upset...they we're reasonable, are growing well, and I have to give credit to the buyer at Lowes, since it is a little refreshing to see such plants for sale. Of course, they probably had no idea what they we're buying, since the plants most likely came in a mass shipment, and certainly, at my local Lowes, the most they could tell me was that these wer'e like petunia, but come on.....they we're also selling frost nipped geraniums and marigolds, in early April! 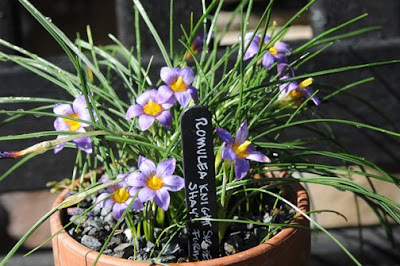 But these look great plopped in any ol container, especially if gravel chips are spread around them......voila! (viola!) 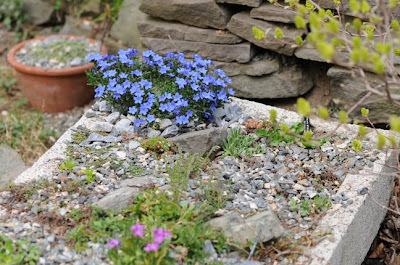 An instant alpine garden! Another Lowes find...just to add some color to a tired trough for the spring. 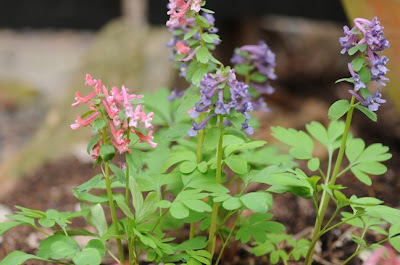 Last fall I purchased some inexpensive Corydalis solida bulbs, packaged only by the seller ( Odyssey Bulbs) as Red seedlings, and Blue seedlings. 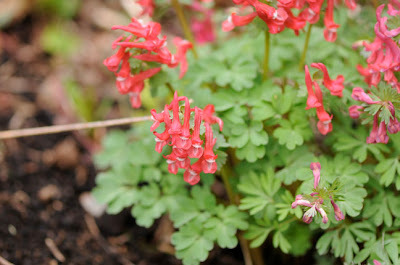 Supposedly, these we're all excellent outcasts from a breeder of Corydalis, of plants that bloomed either red or blue, but we're inferior to the more expensive cultivars so hot right now with plant collectors, such as the good-old C. solida George Baker (below) or any of the fine forms available from Janis Ruksans catalog in Latvia ( many of which I have, also). As you can see, these are quite nice....and I can barely tell the difference from the better forms, except for a few. Next year they should look better. 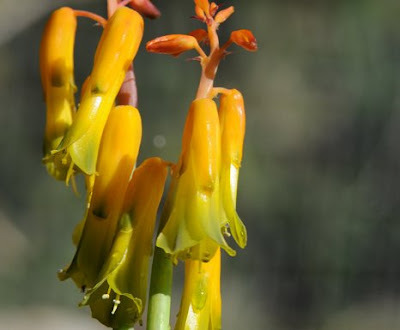 Of the 230+ species of Pelargoinum, 185 are concentrated in the winter rainfal area of the south esters tip of South Africa. Pelargonium, or, what many of us know and love or loath, as "geraniums' are mostly native to South Africa, with ony a handful of species found elsewhere in the world, ( 8 in Australia, 2 on Madagascar, 2 in the near East, for instance). 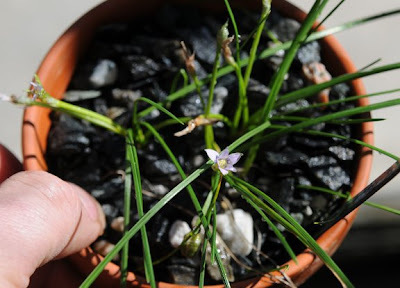 This odd but lovely tiny species is a native of Transkei (East South Africa) and was names by H. Bowker and documented in Curtis' Botanical Magazine in 1864, where it can be found illustrated in color. This 'Pachycaul' type of Pelargonium ( stores water in a thickened stem), is relatively easy to grow, but perhaps impossible to find sold. 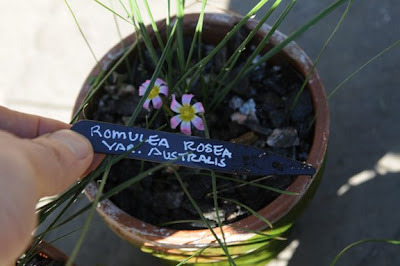 I started this from seed, collected in South Africa by the Kirstenbosch Botanical Garden, who has sent me some seeds upon request. 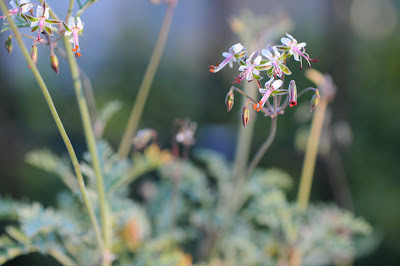 But here is what is different about this wild species form of Pelargonium - P. bowkeri is not a winter rainfall species, but a summer rainfall species. 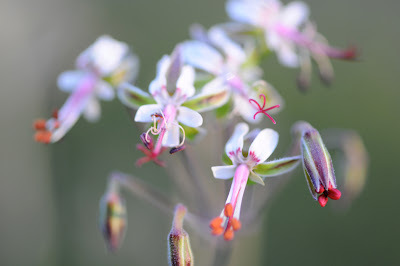 And, it hails not from the south western part of the cape, where most of the Pelargonium clan call home, but it instead is native to the summer rainfall areas of the northeastern Cape. The root system is complex, composed of tuber-like swollen roots,which some growers may wish to raise out of the soil, to show off ( something that caudex growers really get into). I may try this when this four-year old seedling goes dormant again, to propagate it later this summer, but for now, we are enjoying it's rather pretty, fringed petals ( only two other species of Pelargonium have fringed petals), this was a bit of a surprise for me, since I simply purchased the seed in a lot, and never researched what it actually looked like! Surprises, can be nice! Pelargonium bowkeri makes a great addition to any collection of caudex plants ( caudiciforms) or those who collect species Pelargoniums. ( I'm sure there are plenty of both of you, right?). Ugh...I'm so wierd! 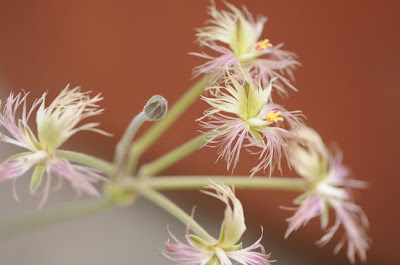 Apparently, P. mollicomum is the wild, species form of a plant which many of you know and love as the scented geranium. 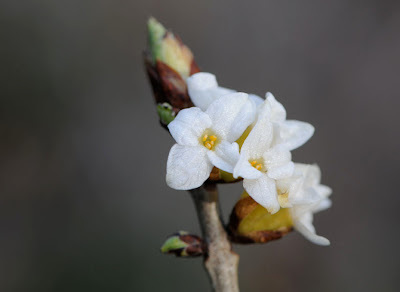 However, this wild form, has hardly any scent, for some reason. The scented forms known as pineapple-scented, are also sometimes listed as P. mollicomum, but the grey-green lacy foliage of this species looks nothing like a typical 'sceneted geranium', That said, you may notice that many scented geraniums have similar blossoms. I happed to like these less-thab-showy forms, and this species is a fine example of how subtle yet interesting this genus can be. 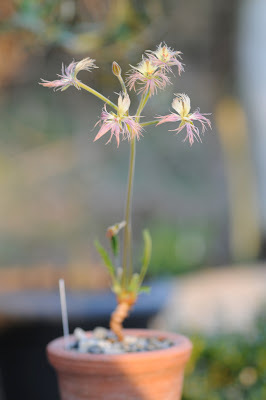 I have a long history with Saxifraga, or saxifrages. 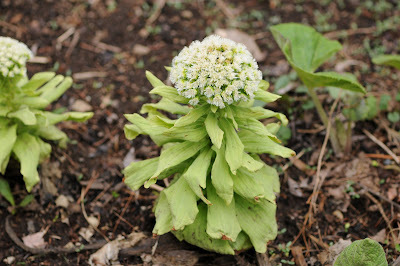 30 years ago, while in high school, my first summer job was not scooping ice cream at Cape Cod, or cutting lawns, nor flipping burgers; rather, it was kneeling on burlap for what seemed like the entire summer, extracting grass and weed seedlings with tweezers and fingertips, from an extensive collection of "silver saxifrages" at a well known local estate designed by Fletcher Steele, that of a philantropist, Helen Stoddard. 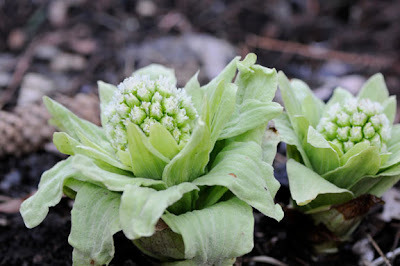 After three years of maintaining Mrs. Stoddards amazing collection of these alpine plants, I expected that I might have had my fill of these alpine plants, but rather, the opposite has happened. 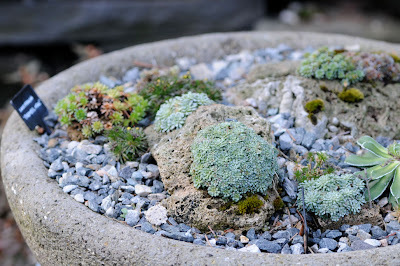 Now in my 40's, I continue to collect these alpine treasures, but it has only been recently, I admit, that I have been able to actually keep them alive! 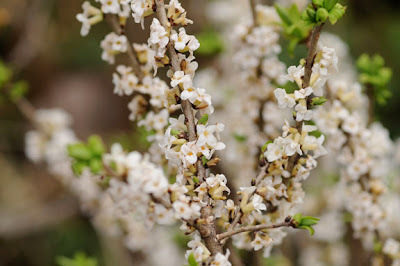 Not the easiest plants to please, these alpione plants, native to the highest peaks of the alps and European mountain ranges, require somewhat specific conditions to thrive, mainly, boyant cool air, fast draining soil which retains moisture at the same time ( not the easiest condition to achive) and bright light, if not sun, without burning. 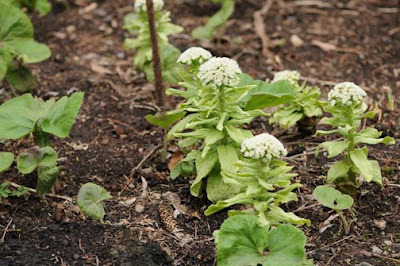 Attempting to grow these Saxifrages in normal garden conditions will result it unsatifactory results. 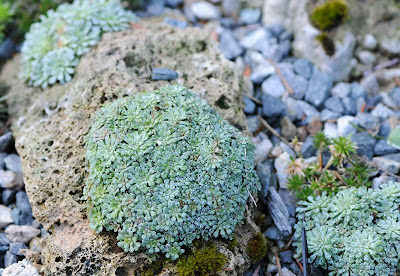 They grow best in Tufa rock, but this is a material which is practically impossible to find ( tufa is a porous, limestone rock, perfect for so many alpines which love to grow in it), or you could try them in pots and containers, troughs, if you will, which contains a fast draining potting soil. 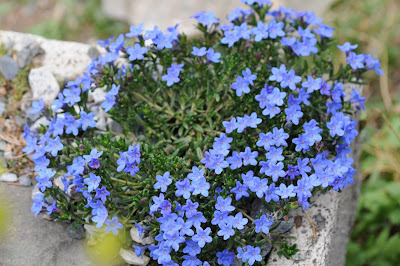 Thanks to Wrightman Alpines, the plants can now be purchased already growing in Tufa rock, which has redefined how my collection looks. 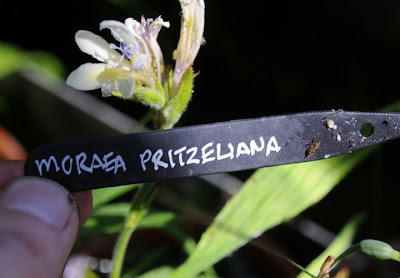 I urge anyone in the Northern USA to try these, and elsewhere, search for these tiny buns at online and local nurseries and try taking cuttings, to plant in Tufa rock ( drill tiny holes, fill with Tufa rock powder, in June, and sit back and wait). 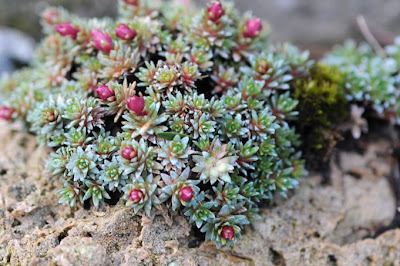 Here are some photos of the denser growing forms of Saxifraga, a genus with 430 species of all sizes, with the higher alpine forms such as the kabischia types most suited for Tufa rock growing. Tufa rock keeps these lime lovers dense, tight and hard, which shows off their lime encrusted foliage, as well as seems to give them the hard growing conditions which seems to stimulate blossoming. A decade ago, a yellow Clivia or a variegated Clivia, often topped the list of the most wanted, if not the most expensive plant, on plant collectors lists. Today, yellow Clivia can be found in most any rare plant catalog, and even main stream catalogs retailing for around $20 - $100. 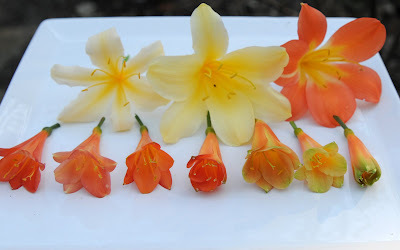 I have been collecting Clivia since the late 80's, and growing them since high school in the 70's ( I still have my original plant), but it wasn't until the late 1990's that I began to connect and trade with enthusiasts on-line, that my collection really began to grow. 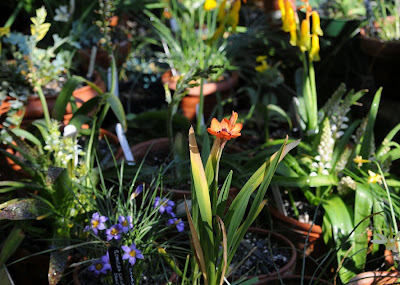 By 2001, the greenhouse was full of seedlings recieved from friends made on various clivia user groups and boards, as well as from exchanges with many other collectors, as a mini-trend for the plants in combination with the wider and deeper reach of the internet, connected like-minds. Also in 2001, we first visited Japan, where we wer'e invited to visit Mr. Nakamura's home and Clivia collections, which we're pretty cool, and incredibly inspiring. Clivia are just one of those plants, that are relatively easy to grow, impressive when they decide to bloom ( please don;t write me and ask me how to get yours to bloom! ), and they are quite addictive. Here are just some photos of the first seedlings from 2001 collections, which are beginning to blossom in our greenhouse. BLOOMING TROUBLE? I am no expert, but I can say that if you are having difficulty getting your Clivia to bloom, here is what happened with me. I always had some plants blooming in the house in March, normal blooming time here, in the North Eastern part of the USA. But there we're years that they never bloomed on time, sometimes waiting for the summer, and other times, waiting until fall. Once the plants were moved into the greenhouse, they all bloomed at the same time. But some years it would be February, other years, April ( like this year). They are kept quite wet year round, since most are under the benches. Since my greenhouse is kept quite cold in the winter, I would deduce that day-length in combination with temperature is the key, not keeping them dry for the winter, etc. Although, that said, be certain not to keep them too wet, for rot will kill them. As for being pot bound, either way, I would say it doesn't make a difference in my experience. It appears that a Clivia will completely fill ANY pot with thier thick fleshy roots in no time. Soil, many collectors swear on using compsted bark, others, orchid mix only. 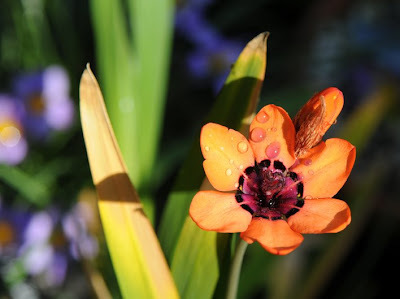 I use whatever I have, since my Clivia are very much like Daylillies, some have even spent a year out of thier potson the floor on the greenhouse, and are still blooming. 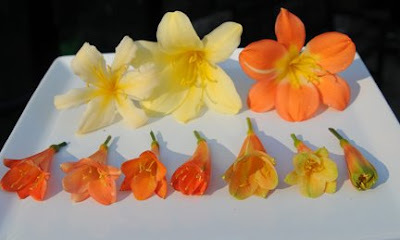 NOTE: THe interspecific, or Cyrtanthiflora group types which are those which are crosses between the species, all tend to bloom either in the fall or winter, whereas the Clivia miniata, the large Clivia we all know and love, generally blooms in March in the Northern Hemisphere. 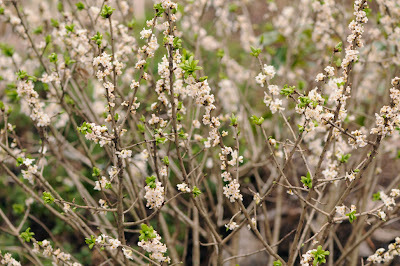 Aren't these blossoms great? It really isn't until you take them off the plant, and place them side by side, that one gets to make comparisons about color and form.